The report details an exhaustive account of the global healthcare chatbots market along with numerous associated factors. Some of these factors that are included in the report are drivers, restraints, competitive analysis, latest trends and opportunities, geographical outlook, and many other aspects. The study covered in the report spans a forecast period from 2018 to 2028. From an overall perspective, the report is expected to exist as a valuable insight to businesses which are already operating in the global healthcare chatbots market, as well as for those who intend to newly establish themselves in this environment. Widespread advancements occurring in the field of artificial intelligence is primarily responsible for driving growth in the global healthcare chatbots market. This is mainly due to the implementation of more sophisticated and mature chatbot processes that are intensely smart to deal with engaging customers who intend to access healthcare services. With a rising demand of automation in healthcare domains, the use of chatbots to achieve online efficiency in terms of dealing with customer enquiries and customer retention is increasing. This is expected to make the global healthcare chatbots market showcase a highly positive growth curve in the near future. Many healthcare organizations businesses are making use of chatbot services in a plethora of ways, thus expanding the boundaries of their capacities and capabilities. In addition, application of AI in consumer electronics associated with maintaining healthcare has also led towards the creation of a large client base that demands the assistance of technologies like chatbot services. In recent times, extensive progress in digital technology has made many healthcare organizations start utilizing numerous digital marketing strategies. As voice and messaging services, which are a part of chatbot technology, come under these strategies, the healthcare chatbots market is expected to grow with leaps and bounds in the near future. This market is mainly spread across North America, Asia Pacific, the Middle East and Africa, Latin America, and Europe from a regional perspective. Of these, North America holds a dominant position compared to other countries on account of the presence of a strong healthcare infrastructure. 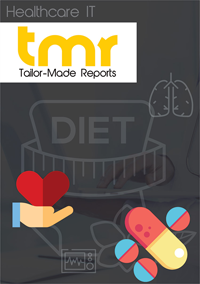 Moreover, a rising preference for fast healthcare services and effective response from healthcare organizations in terms of enquiries also is making the market proliferate rapidly in North America. However, apart from this region, Asia Pacific also showcases extensive presence of the market in addition to Europe. This is mainly due to a highly increasing demand of efficient healthcare services in terms of enquiring for health-based advice needed in different applications, occurring in the region. The market is also catching up substantially in the other regions of Latin America and the Middle East and Africa, wherein the market is expanding at a substantially steady rate. The global healthcare chatbots market depicts the presence of a highly competitive vendor landscape. Such a high spirit of competition mainly exists owing to the presence of numerous technology-driven companies. Many companies are attempting to bring forth smart innovations to their services. Several players are also participating in important mergers and acquisitions in the form of key strategies to expand their presence in the global healthcare chatbots market. The companies are also developing new solutions and products to provide exemplary chatbot and other interactive digital services in the healthcare services. Your.MD, HealthTap, Inc., Sensely, Inc., Buoy Health, Inc., Infermedica, Babylon Healthcare Service Limited, Baidu, Inc., Ada Digital Health Ltd., PACT Care BV, Woebot Labs, Inc., and GYANT.Com, Inc., are key players operating in the global healthcare chatbots market.